We specialise in high quality photo scanning, slide scanning & negaitve scanning of your precious old, faded or new photos and restore them into high quality digital photo images at an affordable price. Your printed / developed photos, slides and negatives can be restored back to life and saved into digital image formats for generations to come. Your pictures / photos are scanned using specialised dedicated photo scanning scanners & slide and negative scanners, into JPEG files at various resolutions and put onto a DVD for viewing or editing on your computer, television or digital photo frame and returned to you with your original photographs. We also offer a range of other photography and analog to digital relelated services such as; Photo scanning, Slide scanning, Negative scanning, Film scanning, Photo enhancing, Video tapes to DVD and Video editing. Video Tapes, VHS / S-VHS / VHS-C to DVD, 8mm Camcorder tapes Digital 8, Hi-8, Video 8 & Mini DV all transferred to DVD. We can also make a great Picture movie slide show presentaion DVD, with combinations of still photos and videos. 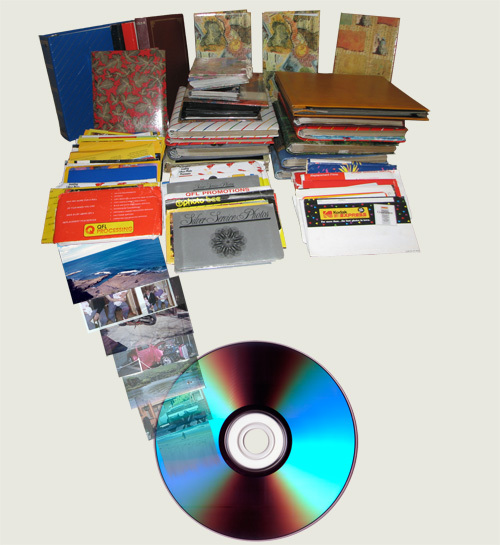 We also transfer vinyl records and audio cassette tapes to MP3 and CD digital formats. Memories 2 Disk is an Australian owned and operated small home business located in the Melbourne suburbs, therefore all work is completed on-site so your photo and video memories never leave the safety of our premises during the process. Please have a look around our website and read what we can do for you. Don't hesitate to contact us if you have any questions or comments. Do you have some photo scanning questions. Try our FAQ page for your answers. If you still require further information contact us directly.